Cliona’s Foundation are thrilled to have been selected as new charity partner, for the Limerick Lives 95FM 95 Stop Tour 2018 Fundraiser. Cliona’s Foundation joins existing partners, CARI Limerick and the Children’s Ark including Neonatal Unit at University Hospital Limerick. 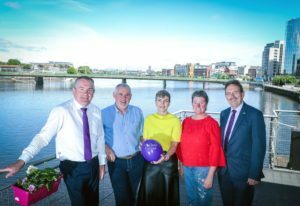 In excess of €600,000 has been raised by Limericks Live 95FM 95 Stop Tour 2018 for Limerick Kids thanks to the generosity of the people of Limerick over the past 8 years. CEO of Cliona’s Foundation, Brendan Ring expressed his gratitude for being included in Limericks Live 95FM 95 Stop Tour 2018, “We are delighted that Cliona’s Foundation will be part of the 95 Stop Tour. We recognise the 95 Stop Tour as a wonderful fundraising campaign and we are looking forward to playing our part in making the 2018 version the best tour yet. It’s a great opportunity to get the story of Cliona’s out there to a wider audience and of course it is a significant generator of much-needed funds for the charities involved. 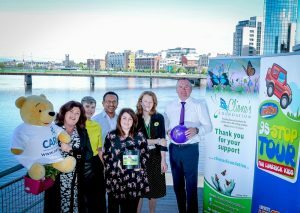 This year’s tour will take place week commencing September 17th, with the Live 95FM 95 Stop Tour Team out in force across Limerick City and County, however, there will many fundraising events throughout the summer and beyond. Communities, businesses and schools across Limerick hold fundraising events including Coffee Mornings, Bingo Nights, Welly Wednesday, Fun Cycles, Walks, Pyjama Parties, Raffles, Living in a Window, all in aid of the Live 95FM 95 Stop Tour. For more information on Limericks Live 95FM 95 Stop Tour 2018, go here.